Driving a large lorry on a busy street is stressful enough without having to worry about finding a suitable parking spot. When delivering to locations without loading bays or delivery areas, remember the following recommendations to get your job done safely and legally. Become familiar with the neighbourhood and find more lorry-friendly alternative routes to avoid large amounts of traffic. Avoid one-way streets and areas that have restricted parking regulations. Call the delivery site before arriving to let them know when to expect you. They may be able to give you some pointers regarding when traffic is light or parking is more available. Leave early when traffic is especially heavy. Prepare necessary paperwork ahead of time so that you just need a signature. Load the last delivery in your lorry first and then pack the rest accordingly so that the materials for your first stop are the most accessible. Put heavier items on the bottom and then stack lighter items on top of them. Do not block traffic with your vehicle, including pedestrians. When parking, look out for parking time limits and vehicle restrictions. Leave enough room for vehicles around you to get out of their spots safely. Avoid having to reverse into your spot where possible. After you find a spot, turn on your hazard lights and look outside before opening your door. Before unloading heavy items, make sure that the contact person at the delivery site is available and ready for the delivery. Secure the remaining items in your lorry before proceeding. Ask someone to direct you out of your parking spot if you anticipate having difficulty getting out. When pulling out, use your indicators to signal oncoming traffic. (NOTE: Moving traffic and pedestrians always have the right of way). 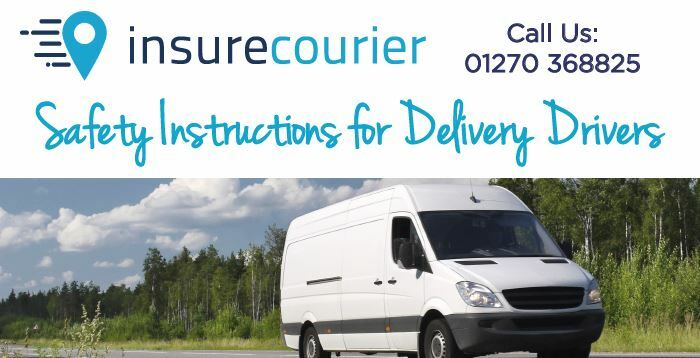 For more information regarding our courier insurance policies, give us a call on 0333 202 3172 or fill in our online quote form and a member of the team will be in touch.